Primarily about what makes a business great, but also a useful tool for making your own life great. Where do you want to be great, not just have success? 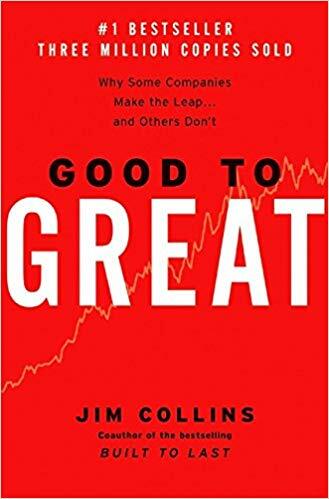 “Level 5 leaders look out the window to apportion credit to factors outside themselves when things go well (and if they cannot find a specific person or event to give credit to, they credit good luck). At the same time, they look in the mirror to apportion responsibility, never blaming bad luck when things go poorly. Lead with questions, not answers. Don’t assume you know what’s best. Engage in dialogue and debate, no coercion. What you can be the best in the world at (and, equally important, what you cannot be the best in the world at).